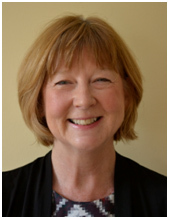 Barbara Collier is a founding member of Communication Disabilities Access Canada and Augmentative Communication Community Partnerships Canada. Since 2001, she has developed and managed projects relating to human rights, communication access and improved quality of living for people with speech and language disabilities. Barbara’s background is in Speech-Language Pathology and Augmentative Communication. She has published extensively in peer-reviewed journals, and has authored a number of books, DVDs, and online courses. She is a frequently invited speaker at national and international conferences. 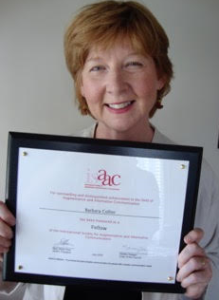 In July 2010, Barbara was named as an ISAAC Fellow at the ISAAC 2010 conference in Barcelona, Spain. She is also the co-recipient of the ISAAC President’s Award and in 2016, on behalf of CDAC, she accepted the David C. Onley for Leadership in Accessibility.